Do You Need Assistance with a Bicycle Accident Claim? My name is Ed Smith, and I have spent the past 33 years assisting Elk Grove residents who have been injured in catastrophic bicycle accidents. Every year, 49,000 Americans are injured and 726 die in bicycle accidents. The majority of these accidents in Elk Grove are caused by negligence. If you were involved in a bicycle-car crash in Elk Grove, you may have a valid negligence claim. My law firm can help you review the facts, evaluate any potential claims, assess your damages, and decide the best course of action based on your goals and best interests. To schedule a free, no obligation consultation with my law firm, contact us in Sacramento at (916) 694-0002 today. Bicycle accidents are especially dangerous for cyclists because they commonly involve large motor vehicles such as cars, trucks, SUVs, and motorcycles. Bikes do not provide the same level of protection against injury as cars. Unlike a driver who has the added protection of a metal enclosure, airbags, seatbelts, and antilock brakes, cyclists are equipped with only a helmet, assuming the rider straps one on. Often times, the force of the collision will throw the cyclist from a bike. When this occurs, the cyclist is exposed to the risk of being crushed by an oncoming vehicle. While these accidents are entirely preventable, they are rarely foreseeable for the cyclist. Bicycle accidents frequently occur suddenly and unexpectedly, which leaves the bicyclist with minimal opportunity to respond. 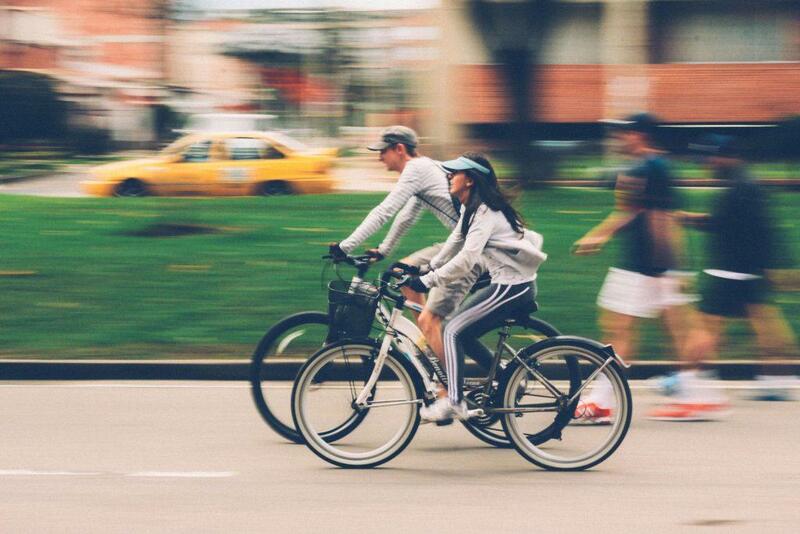 A bicycle’s relatively slow rate of speed makes it difficult for a rider to swerve or otherwise avoid a collision when in the immediate path of motor vehicle. If you were injured in a bicycle accident, you might be concerned that you have no insurance to cover your medical bills and that your pain makes it impossible to return to work. California personal injury law seeks to make victims whole by placing the burden of compensation on at-fault parties. Therefore, if a negligent driver, motorcyclist, or pedestrian caused your bicycle accident, the careless or inattentive individual might be responsible for compensating you for the damages you sustained. The at-fault party depends on the cause of the accident. There are three main causes of bicycle accidents in Elk Grove: (1) roadway design defects, (2) negligent drivers, and (3) bicycle manufacturer defects. Local governments like Sacramento County and Elk Grove may be liable for bicycle accidents caused by poorly designed, built, or maintained roadways. The government is responsible for adequately and safely constructing public roadways for the safe use of its citizens. When the government fails to exercise reasonable care in providing and maintaining safe roadways and an accident results, the government may be liable for damages. Examples of roadway design defects include potholes, lack of proper signage, and failure to install bike lanes. Since pursuing a legal claim against a public entity involves special procedures and deadlines, bike crash victims should seek legal advice without delay. Negligent drivers are a leading cause of bicycle accidents. Most bicycle accidents can be attributed to careless or distracted driving. This can include failing to check blind spots, refusing to yield to cyclists, using a cell phone, and speeding. Cyclists injured by negligent drivers can pursue compensation for injuries under personal injury law. Bicycle manufacturer defects involve the manufacturer of the bicycle improperly designing or assembling the bike. Bicycle defects occur when manufacturers use the wrong parts, fail to install parts, or implement a design that is simply unsafe. If you suspect your bicycle was not built safely, our law firm investigates bicycle accidents, and pursues claims against manufacturers responsible for unsafe bicycles. I’m Ed Smith, an Elk Grove bicycle accident attorney with the most informative accident website available – www.autoaccident.com. If you or someone you love has been injured due to the negligence of another, please call me at 916-694-0002 for free, friendly advice. Before you call, please take the time to check out what my clients have to say about working with our law firm. Click on our reviews here: Yelp and Avvo and Google. Follow Law Offices of Edward A. Smith on Facebook! We are members of Million Dollar Advocates Forum. Million Dollar Advocates are a group of trial lawyers who have won multiple million dollar settlements and verdicts for their clients. For a listing of our past verdicts and settlements, click here.